Mrs. Parsons learned how to make these Santas from her supervising teacher, Mrs. Mary Lou Brownfield, when she was doing her student teaching. The children cut their own shapes for the hats and the features. The beards are made of copy paper. 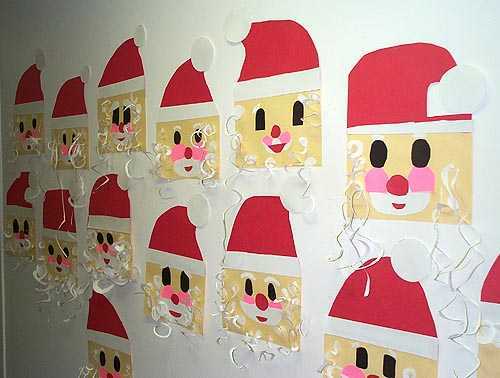 Start with a circle of paper and start cutting smaller and smaller circles to make the curly beard. The curled paper can also be put on the back of the figure if you would like.